Jio Music Integrates With Saavn; Creates $1 Billion Music Behemoth! Jio Music Join Forces With Saavn To Create $1 Billion Music Behemoth! After disrupting mobile internet and VoLTE phones, Reliance Jio is now disrupting music. And the first step has already been taken. Jio Music and Saavn has integrated into one, which makes them $1 billion music behemoth, which is now India’s largest online music platform. Though it is music to the ears of Jio Music and Saavn users, but a big, massive threat to other leading players in this niche. Can it change Indian music industry forever? 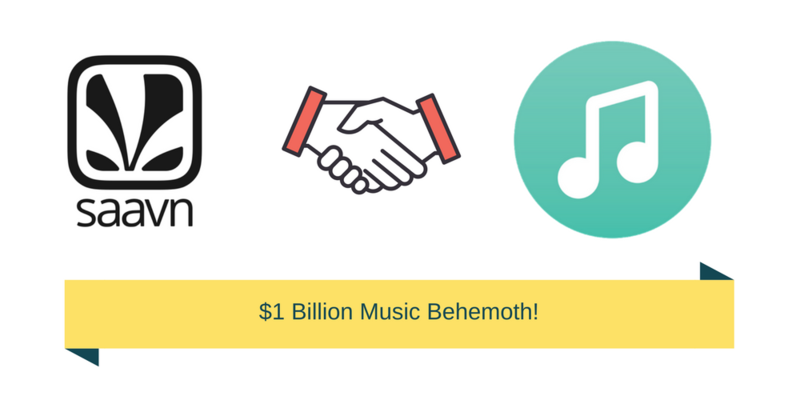 Saavn + Jio = $1 Billion Music Behemoth! Led by Mukesh Ambani’s elder son, Akash Ambani, Jio Music has successfully integrated with Saavn, which has now created India’s largest digital music platform with a valuation of $1 billion. After this deal, Jio Music’s implied valuation has soared to $675 million. Saavn’s three founders: Rishi Malhotra, Paramdeep Singh and Vinodh Bhat will continue their leadership roles in the combined entity, and drive the growth. Reliance Jio is acquiring a partial stake in Saavn from existing shareholders by paying $104 million. Tiger Global Management, Liberty Media and Bertelsmann are among the major shareholders of Saavn right now. Saavn had 20 million subscribers as per 2017 reports. As per the reports coming in, Reliance will now invest $100 million in this combined, integrated entity, out of which, $20 million would be invested for driving growth, and expanding user base. As part of the investment, Jio and Saavn will now encourage more independent music, developing cross-border content, and at the same time use data for taking smart initiatives, and enable one of the largest advertisement platforms fueled by music and content. The new Jio-Saavn combined entity will be powered with Saavn’s award-winning Original Programming, Artist Originals (AO), which has already created ripples all across the industry by creating some of the most popular and record-breaking music. Online music industry in India, which has approximately 1 billion users, is excited with this development. It would be interesting to observe how Gaana, Wynk, Hungama and other online music app responds to this new development. "Jio Music Join Forces With Saavn To Create $1 Billion Music Behemoth! ", 5 out of 5 based on 2 ratings. Facebook Won’t Be Misused During Indian Elections; New Measures To Prevent Data Breach!